Slydale Hollow: The Timbertops & the city orphans. I hope you all enjoy reading it, as much as I enjoyed creating it. 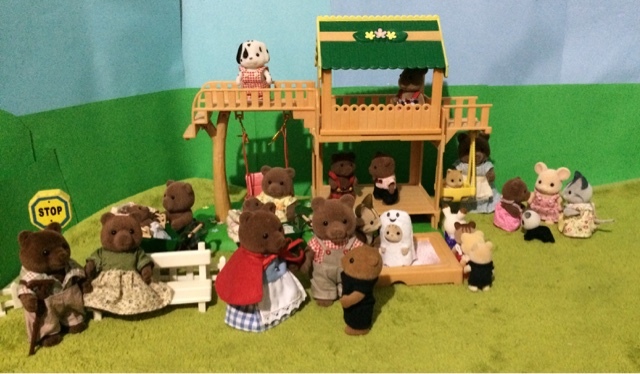 It was a regular night at the Timbertop's manor house. 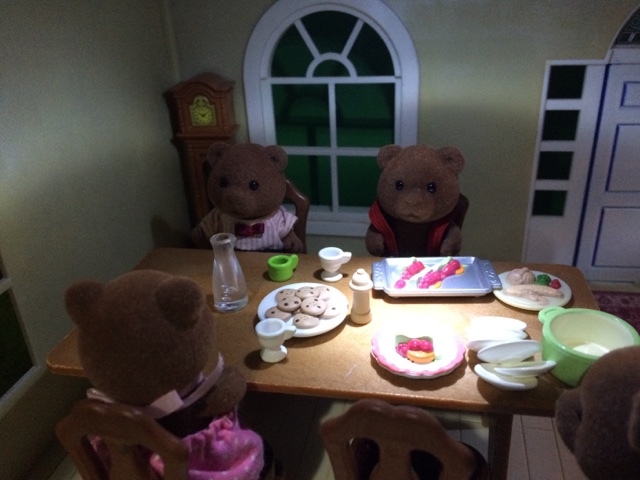 They had just finished dinner & were in the process of tidying up when the phone rang. 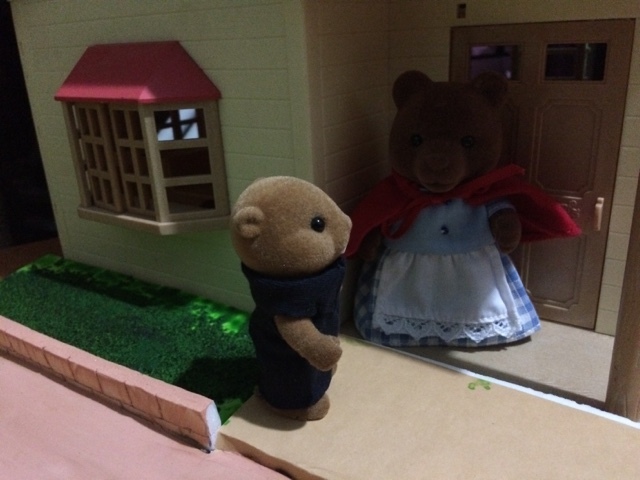 Taylor Timbertop (the Mayor of Slydale Hollow) sighed, passed his baby daughter to her grandmother & rushed to answer the phone to find out whatever urgent need his town had. 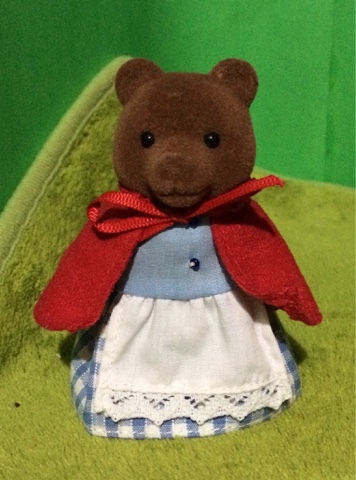 It turned to be his sister Faux Timbertop, who worked as a nanny in an orphanage far away in the big city. "Nanny" (as all the children called her) was concerned about the health of her city orphans & wanted to ask if there was a way she could bring them to visit the beautiful countryside around Slydale Hollow. Until their Mother told them to behave themselves!! 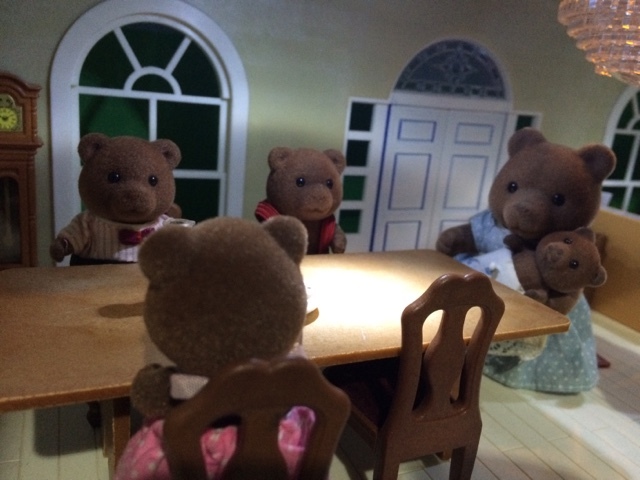 Later that night while getting ready for bed Taylor told his wife Rose what the phone call had been about, & Nanny's plan to get the orphans to Slydale Hollow. 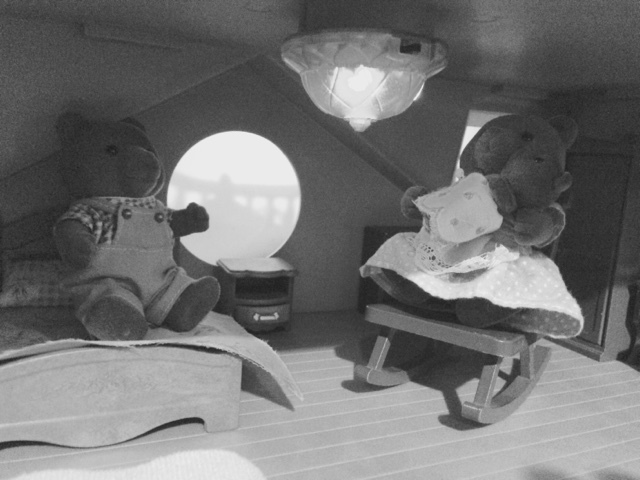 The next morning Nanny nervously chatted with the head of the orphanage, Rev Kevin Waters. He thought a trip to the country was a wonderful idea! 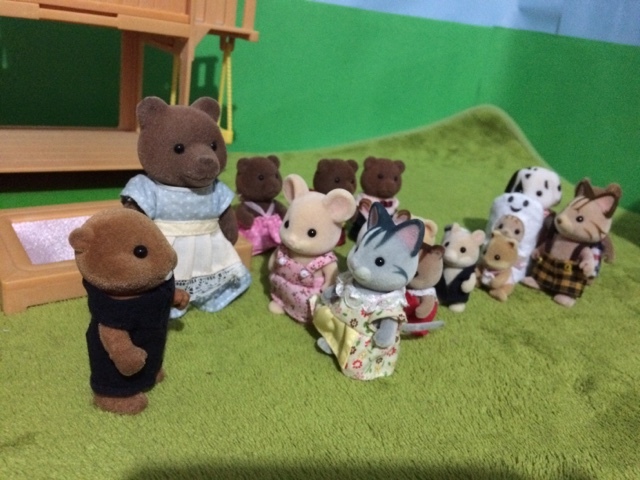 They started to make arrangements immediately. Finally, (several weeks later) the day had arrived that the city orphans were coming to visit! 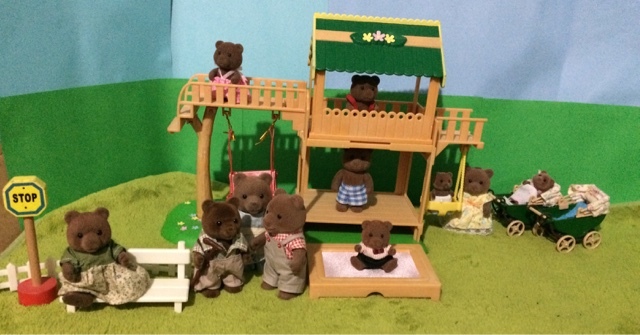 Mayor Timbertop & his whole family waited at the bus stop to greet them. The Woodland arrived looking more full than it ever had before! 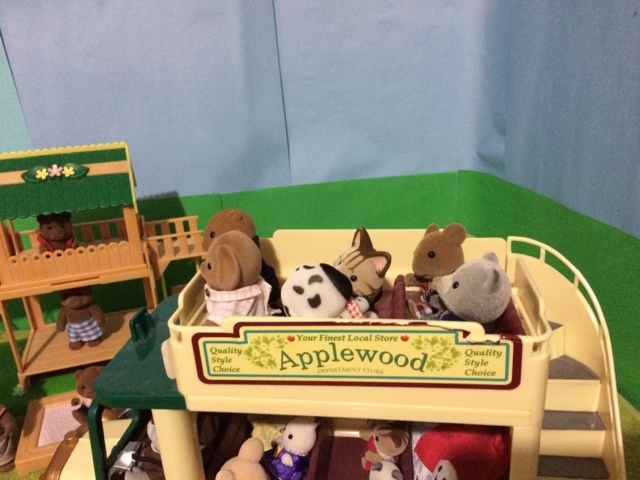 not only were the orphans on it but several new trades people come to work in Slydale Hollow. 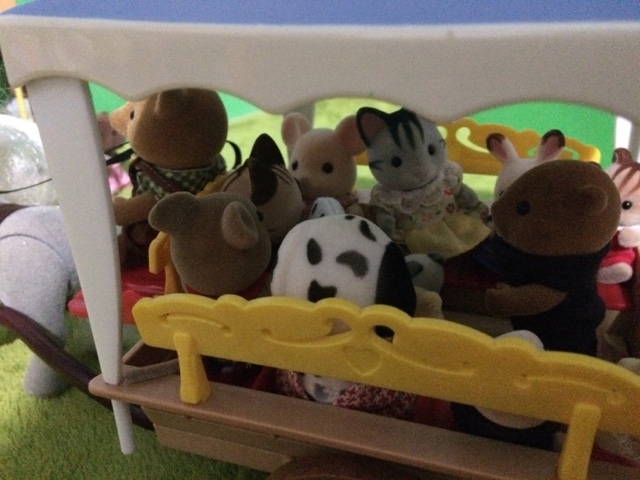 The boys from the orphanage had decided to sit at the top of the bus, Owen Bearbury (whose parents drive the bus) was so pleased to have some company for a change, & his Dad had given him the responsibility of making sure the other boys behaved! The middle of the bus had one of the cutest sights, all the babies from the orphanage were sitting in row, wide eyed & nervously excited. They had never seen anything like this countryside before, so much green! 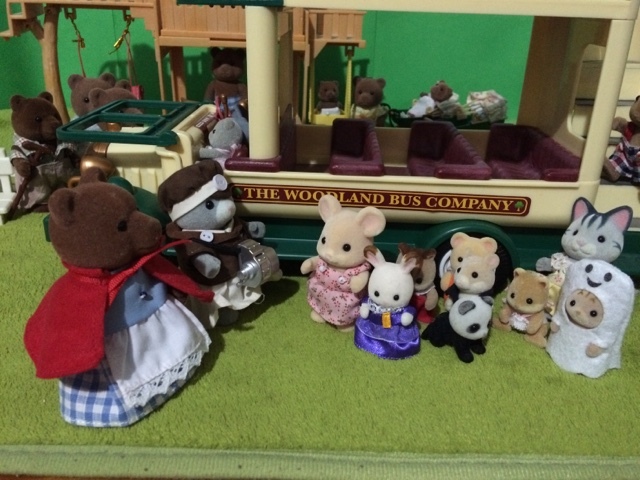 The older girls were sitting quietly up front, unsure how the day would go, & desperately wanting to please Nanny. 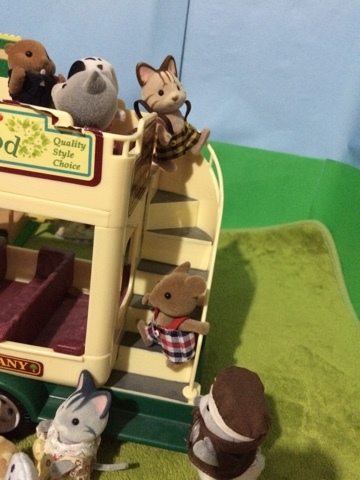 As the bus stopped the boys rushed to get down, while Mr. Bearbury reminded them to be careful. Rev. Waters' heart jumped into his throat when he saw what the boys were doing. 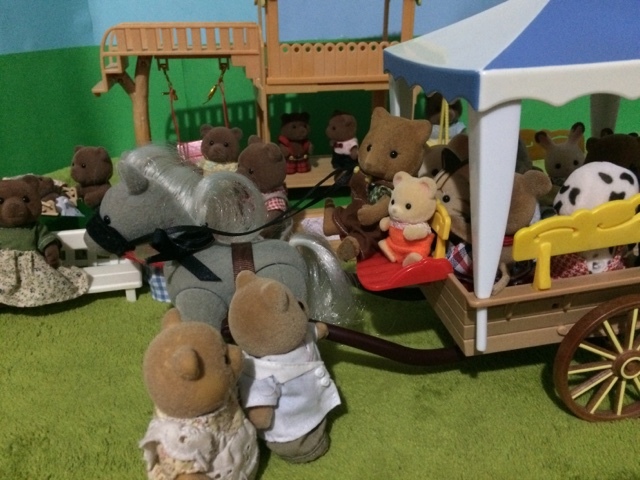 While the Reverend sorted out the boys, Nanny had the girls & babies line up 2 by 2 & thank the Bearburys for the lovely ride. 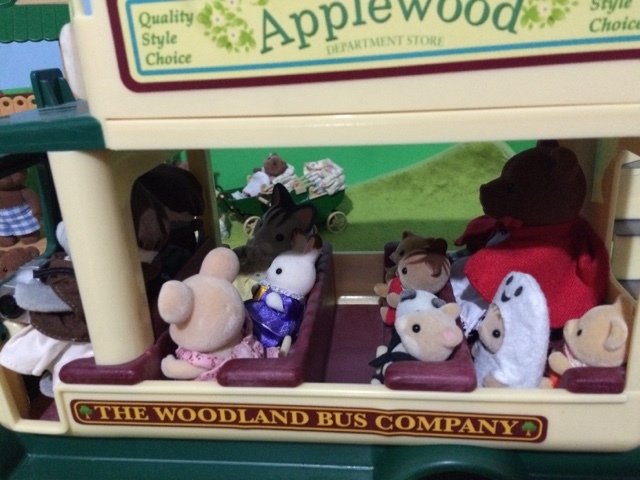 The bus drove off & Nanny was able to introduce everyone. Grandpa Timbertop & Mayor Taylor rushed up to greet Nanny & both gave her the biggest hug. Then a quiet light brown dog can up & introduced himself to Taylor. 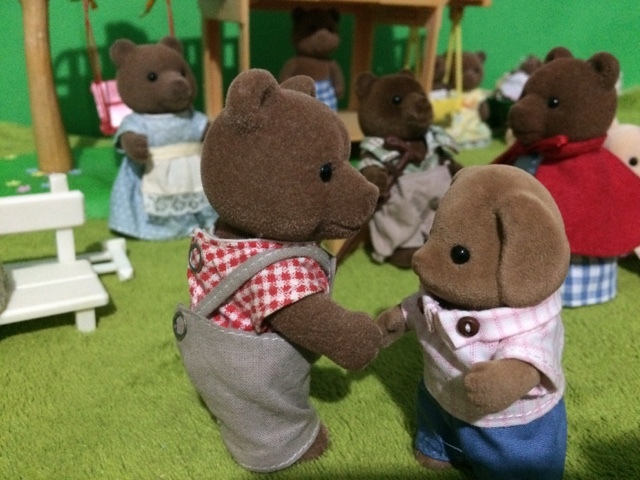 "Mayor Timbertop, sir, My name is Milo Bassett & I'm here to work for Mr. Wade Waters the carpenter. If you could possibly point me in the direction of his workplace, I shall be on my way." 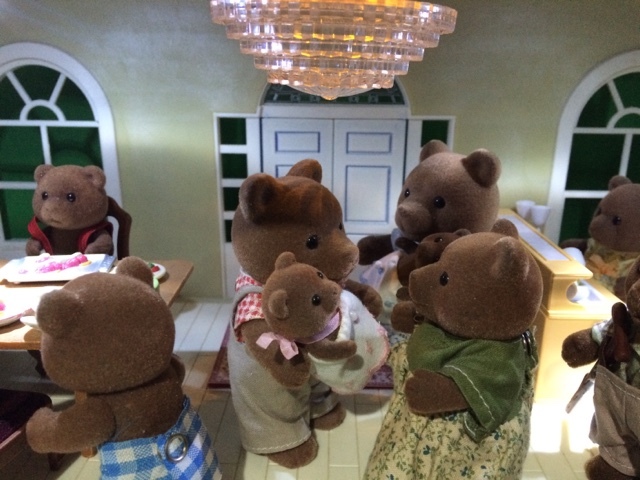 Tayor gave him the directions & turned back where his family were chatting with Nanny. "Now Taylor, what is next on this trip? 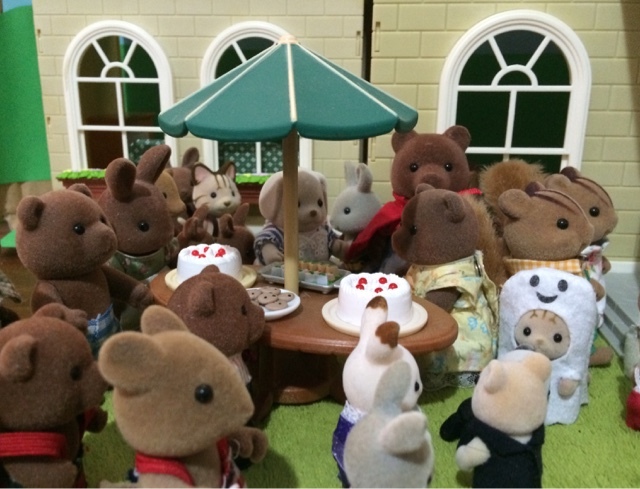 You told me you had a surprise organised that the children would love!" "Yes, I do Faux, Or should I call you NANNY?" 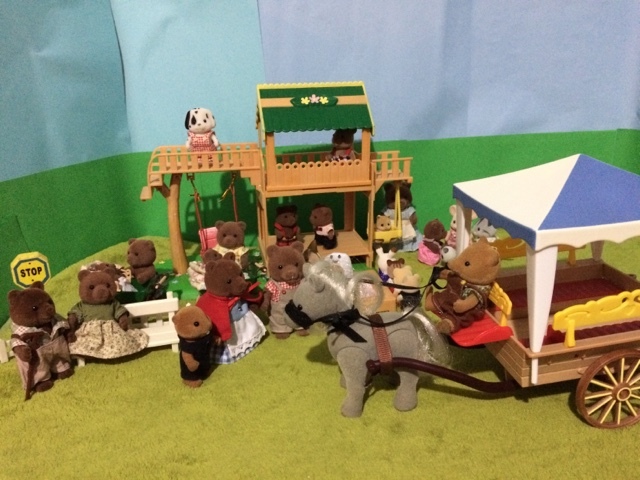 "Our school teacher Mr. Slydale is bringing his pony & wagon for all of you to ride in. Now why don't you & I come sit over here. 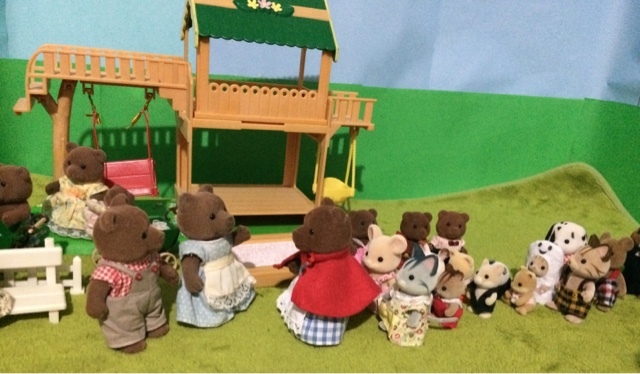 Rose has said she will look after the children while we wait for the wagon." "I couldn't do that! 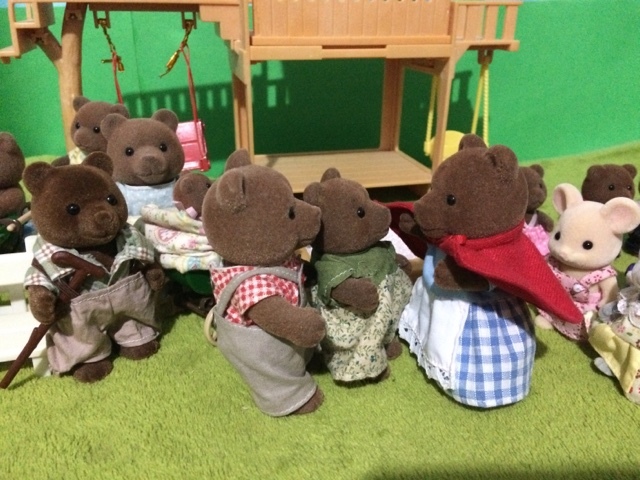 Do you have any idea how difficult it is to watch over so many children?!" Rose laughed, " Nanny Faux, I'm used to looking after quite a few children, plus I'll have my older ones to help me." 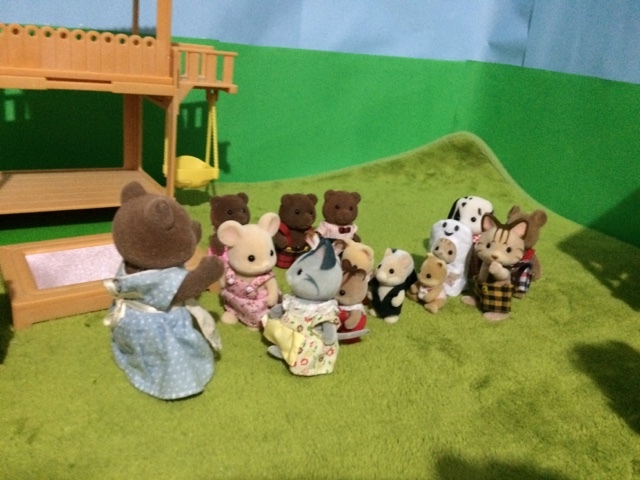 Rev Waters stepped up to address the children, "Mrs. Timbertop is going to look after you for a short time. please be on your best behaviour!" The girls could not believe what they were hearing! They weren't ever allowed to just run off & play! Did this lovely lady know what she was getting into? 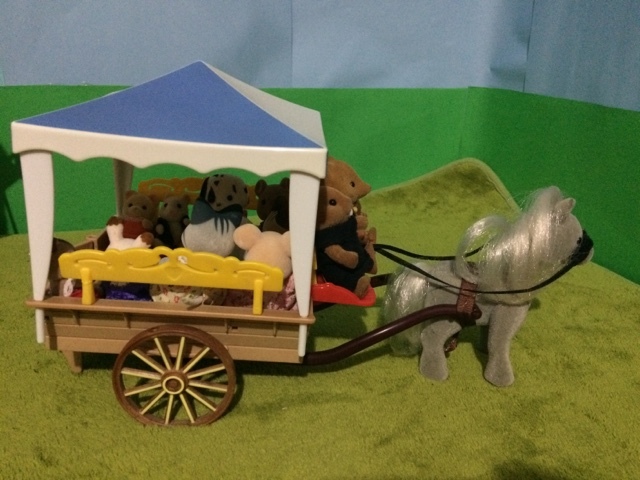 Then a pony & wagon came trotting up & Slick Slydale called out a hearty "Hello"
"Nanny, I don't think there's enough room for us all!" called Rev Waters. "My apologies" said Slick, "this is the biggest wagon we have. 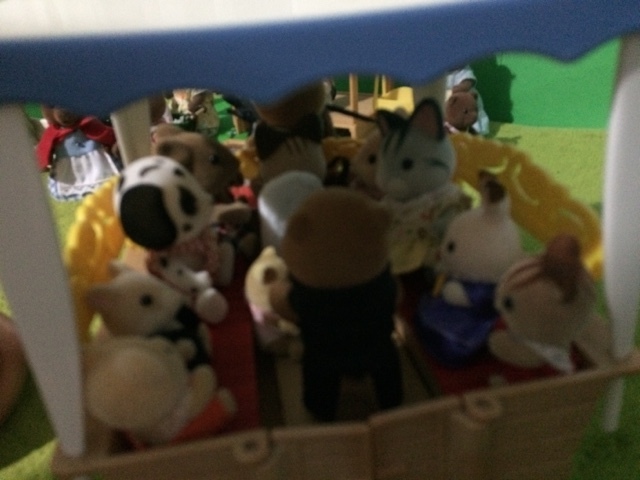 If Nanny doesn't mind staying behind, I think we should be able to fit all the children & yourself, Reverend,"
Taylor laughed & laughed "Can Slick handle boisterous children? Faux, sister dear, he works with more than twice as many children in his classroom everyday! And yes they can be, very cheeky. Now stop worrying." 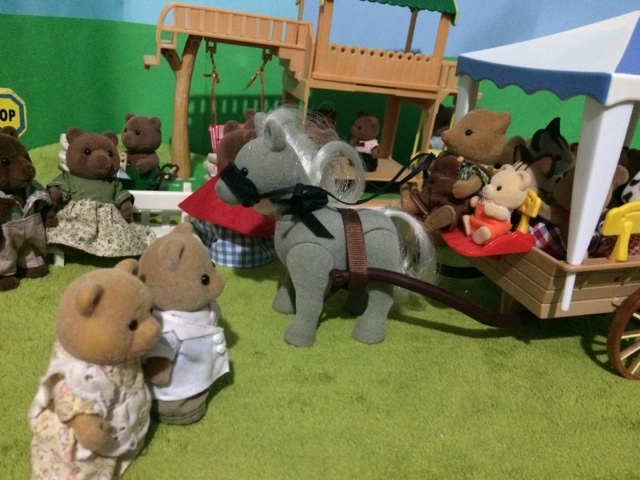 As the pony & wagon started to pull away, Dr. Murdoch Jnr & his wife May were out for their daily walk & noticed the small child seated next Slick. "Slick, who is your driving buddy?" Asked Dr. Murdoch Jnr. "This is Jason, from the big city orphanage. He & his friends are coming for a ride with me today." Rev Waters, hopped out to see what was holding up the ride. 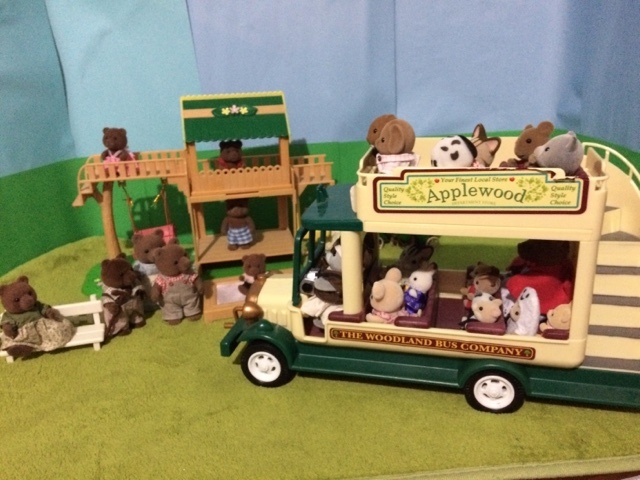 All too soon the ride ended & Slick dropped them back at the bus stop where Nanny & Mayor Taylor were waiting. 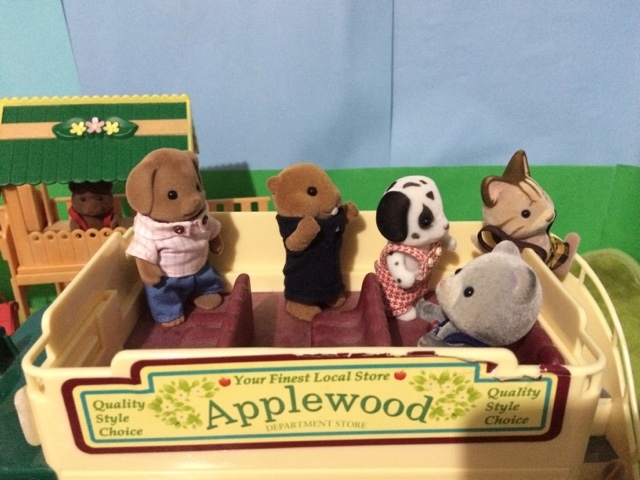 "Mayor Timbertop, I wish we could afford the extra room needed, but unfortunately our finances are quite limited." "This is indeed an interesting turn of events! I shall have to meet with the other leadership & see what they have to say about it, but I do believe they will be quite relieved to know we have a possible solution to a problem that has been troubling us for quite some time." Rev. 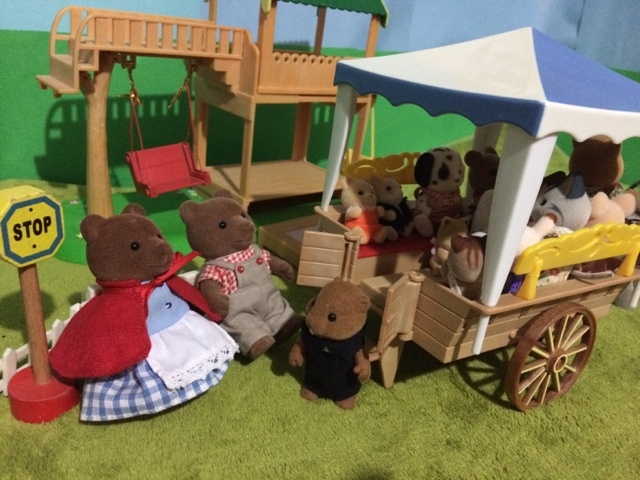 Waters breathed a sigh of relief then turned to look at Nanny Timbertop, "Nanny Faux, did you have a part in organising this? If so thank you." 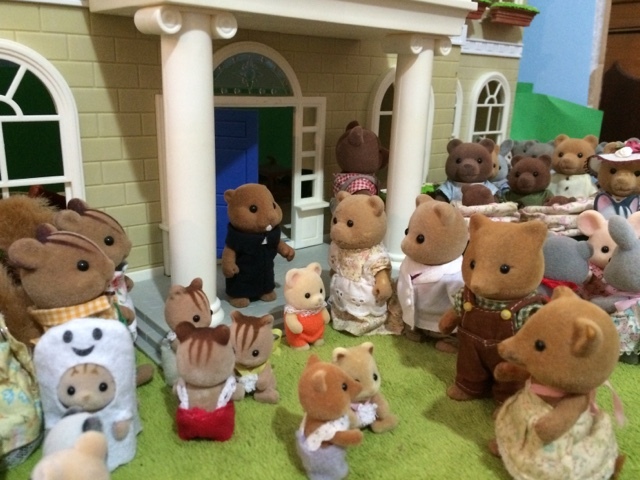 And with the promise to return Nanny, Rev Waters & the children headed back to the big city. Rev Waters was so pleased! 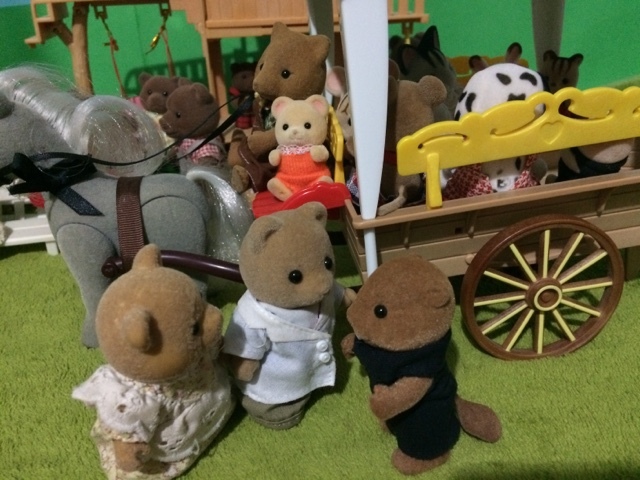 As he looked around he saw so many happy, friendly faces. The whole town were keen to help these young children. It seemed as though this move to the country was going definitely going to be worth it! What a long story but I must say I really enjoyed it, well done! I hope that the orphans will soon have a nice and healthy place for them to live in. Lovely story!! 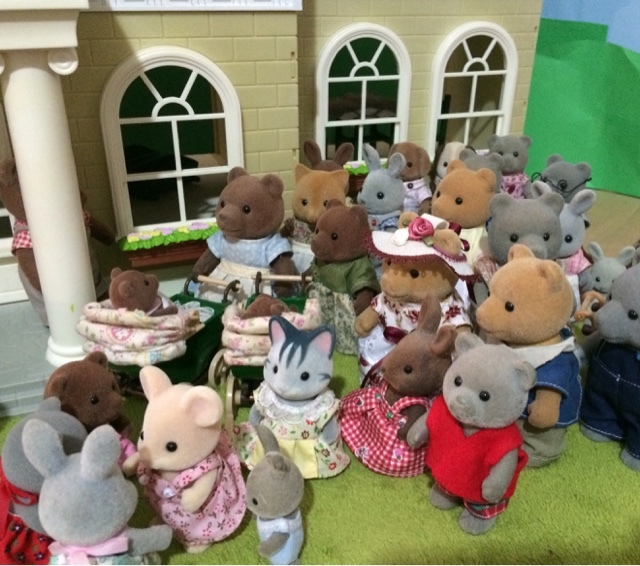 Lots of lovely photos especially the one with the new orphanage and the sylvanian crowd! Great story! 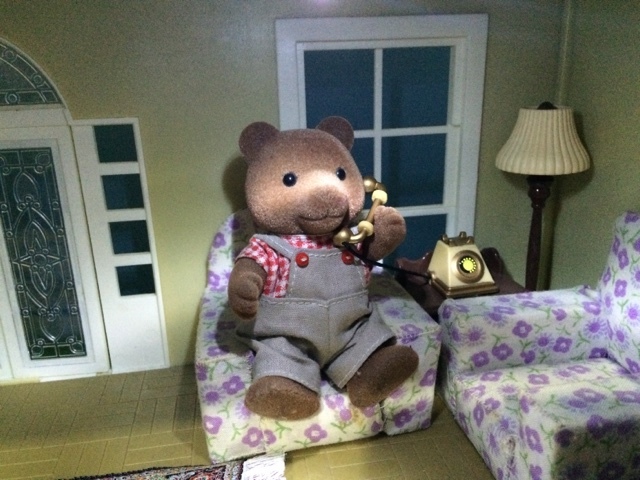 The new orphanage is lovely!I hope Dr. Murdoch Jnr and his wife can foster and adopt baby Jason soon. Thank you, that was one of the most fun parts to set up!